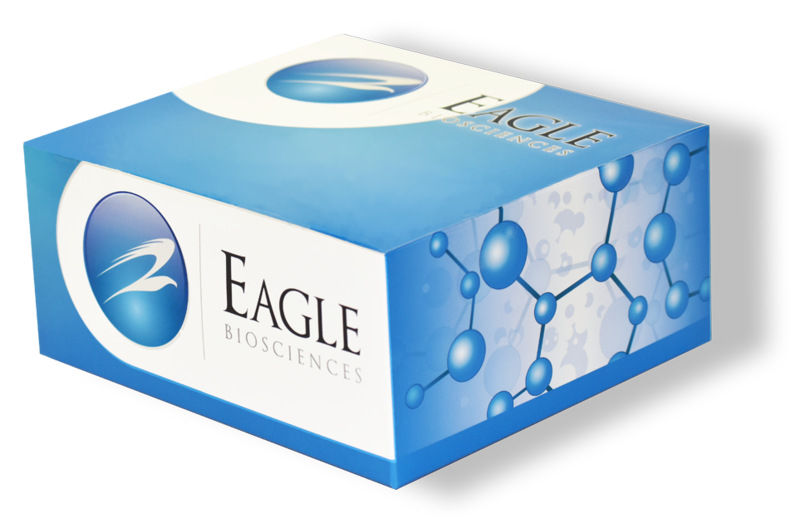 The Eagle Biosciences Deoxynivalenol (DON) Immunoaffinity Column (IAC) determination in food and feed focuses on the enrichment step of extract using immunoaffinity column (IAC) and quantification with HPLC. The Deoxynivalenol (Immunoaffinity Column (IAC) is for research use only. This instruction of fumonisins (FB1 / FB2) determination in food and feed focuses on the enrichment step of extract using immunoaffinity column (IAC) and quantification with HPLC. Accepted laboratory extraction methods could be maintained. Full performance of the IAC column is given if pronounced criteria regarding organic solvent tolerance, elution process of analyte and working range of column are followed. Many pretreatment methods of fumonisins determination in food and feed, most of them which are based on solid phase extraction (SPE) with adsorbents or strong anion resins (SAX), show low sensitivity because of interfering substances if problematic matrices are applied. This method of content determination of fumonisins combines the high selectivity of an immunoaffinity column (IAC) with its potential to concentrate elute and additional step of purification of derivatized fumonsins by HPLC column. As said before, this instruction focuses on the handling with the IAC column. For the commodity extraction step a literature method is given. Please see below. The given apparatus (e.g. HPLC system) might serve as example among other possibilities. For your convenience, an example HPLC method for the analysis of fumonisins is given below. Assuming that 50g ground corn sample are extracted by a total of 200ml water, as reported by Cahill et al. If an organic solvent – water mixture is applied instead, the dilution of extract with PBS should be adapted accordingly in the enrichment step. On the other hand, if proportion of sample quantity and volume of extraction solvent is altered, calculation of gram equivalents must be corrected. The proportion of organic solvent of PBS diluted extract, which is applied on the column, should not exceed 15% methanol or 15% acetonitrile. If organic solvent proportion lies above these limits, recovery rates are diminished. Increase of diluted extract volume by diluting extract with additional PBS which then is applied on top of the column, on the other hand, has almost no consequences to column performance. If samples are to be prepared simultaneously, manifold of J.T. Baker for 12 samples has proven of value. Rate of flow through the affinity gel is 1 to 3 ml/min. In case of problematic matrices rate of flow should lie below 2ml/min. Caution! Be aware that no big air bubbles are neither in the gel nor between gel and luer lock outlet of column which prevent a permanent flow or necessary exchange of matter. Depending on application and on expected contents, larger or smaller extract aliquots can be applied. In such cases the sample calculation (see below) must be adapted. Sample reservoir on top of the B-TeZ IAC DON 3ml column is removed and an appropriate vial is placed below the affinity column. The bound toxins are eluted by using a total of 2ml of methanol as elution solvent. The elution process is performed in two steps to ensure complete release of analytes. First, a volume of 1ml elution solvent is applied. After that volume has passed through column half a minute is waited before the second portion of 1ml of elutions solvent is eluted through the column. Remaining solvent solutions should be eluted by application of slight under- or overpressure. All methanolic fractions are unified to give the column eluate. The column eluate may be injected into the HPLC directly or in case concentrations are low it may be concentrated by evaporation, e.g. using VLM evaporator at 50°C under a permanent stream of nitrogen. Caution: As long as evaporation process is performed moderately, it is not necessary to add a keeper. If that is not the case, it is recommended to use a keeper, e.g. 100µl deionized water or PBS. The residue then is redissolved in HPLC solvent (e.g. 0.5ml) and an aliquot is finally injected into the system.